Dig It! recently launched a series of eight fantastic videos exploring some of Scotland’s most curious castles. 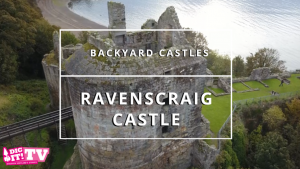 Supported by the Castle Studies Trust, the collection, which adds to the existing Backyard Castles series on YouTube channel Dig It! TV, invites viewers from across the world to experience Scotland’s heritage found in some surprising places! Check out the videos here.